A new cocktail bar focusing on agave spirits has opened its doors in Hong Kong’s Soho, celebrating everything related to the plant from harvesting tools to limited edition Mezcal distilled from the rare convallis agave. Named after the tool used to harvest agave plants, a sharp-edged, round-headed 1.2 meter long hoe called a ‘Coa de Jima’ – or simply a ‘coa’ – the bar is the latest brainchild of a veteran bartender Jay Khan, and among the few bars in Hong Kong that dedicate solely to agave-based spirits. Following a soft-opening last November, the new bar is now in full swing. 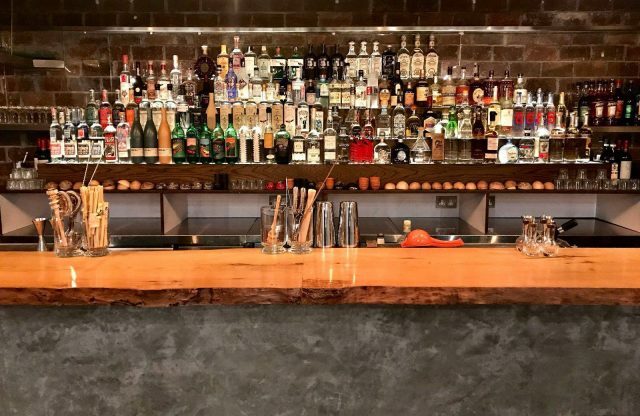 According to Khan, the bar now boasts roughly 100 different labels of Mezcal, Raicilla, Tequila and Sotol including a rare Los Javis Jabali Mezcal, distilled from a “very stubborn and rare” Convallis agave, a plant that “most distillers avoid as it’s a high maintenance plant,” said Khan. Other gems at the bar include a Los Danzantes still-proof madurado, distilled for the brand’s 20th anniversary and matured in bottle for four years before release, as well as La Venenosa Raicilla Puntas, a rare Raicilla with only 12 bottles in Hong Kong according to Khan. “This is a super rare and small batch production. Puntas refers to the tip of the hearts when talking about distillation. It is a very small cut which is usually over 60% abv. Ours is 60.5%. The only spirit I nosed which did not hurt my nose with such high abv. The agave used for this is called ‘Maximilliana’. An agave with magical properties which brings longevity believed by many local Raicilla producer and locals in Jalisco,” explained the bartender. In addition to the spirits selections, the bar offers eight cocktails including house fermented cocktails such as Tepache, a drink usually made with pineapple skin and cinnamon, which is traditionally sold around Mexico at weekend markets and by the roadside in summer. Bob Reider here with Amigo Brands. I would love to send you a bottle of our Sunora Bacanora Blanco 84 proof. We are just launching this agave category in the US and would love for you to try it along with our Sunora Cream De Bacanora. A blend of Coffee/Mocha and Bacanora. I can be reached in the US at 949-842-4145 or my email below. I own a mezcal bar in Melbourne, Australia named Bodega Underground – We would love to get your Bacanora on our backbar!